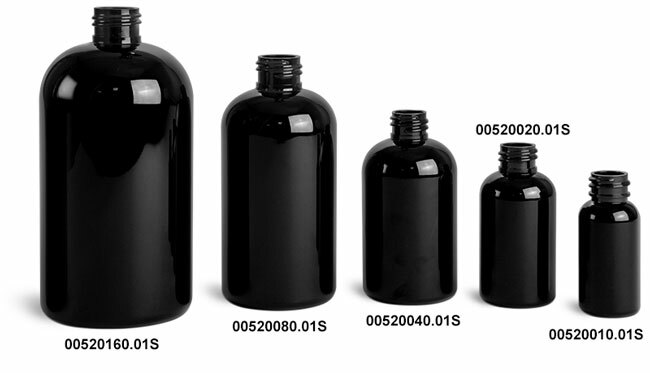 These sleek and stylish black PET boston round bottles include black lotion pumps. 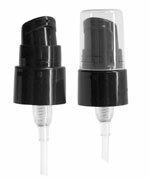 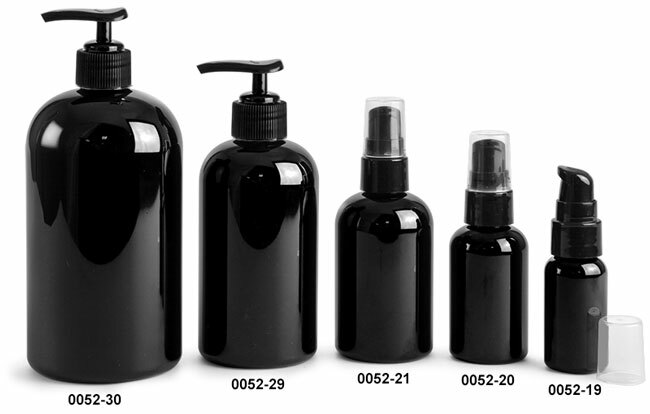 The 1 oz, 2 oz, and 4 oz bottles come with black treatment pumps, while the 8 oz and 16 oz bottles come with ribbed black lotion pumps. Try using these black plastic bottles to package a variety of bath & body care products, from lotions and creams to shampoo and conditioner.